In the Christmas story, characters lurk in the shadows. They are present, but their roles are minor. It is among these characters that we find some who missed Christmas. If we are to avoid this fate, for surely it is possible for any of us to “miss Christmas,” we must learn from their mistakes. We could make a case that the innkeeper missed Christmas. 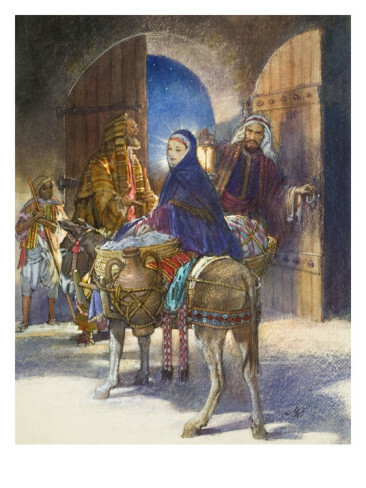 The young couple arrive at the innkeeper’s door with the Messiah almost ready to be delivered (oh how rich the irony). What a blessing for any Jewish family to have the long-awaited Messiah be born in their home. Sadly, such an opportunity was lost. The innkeeper was focused on financial gain – not a bad goal in itself, but devastating if it keep you from meeting God, from welcoming Him into your home, from seeing things according to His plan. Not having a God-centered view of events and circumstances, the innkeeper missed Christmas. But we don’t have to be like the innkeeper. We can focus on the eternal and away from the temporal. We can take our eyes from our finances and consider our inheritance in heaven. We can embrace Christmas with its reminder that God, Holy and just, took on flesh to accomplish His great plan of salvation for us.